It’s been an amazing 22 Cycles abut America’s Next Top Model has come to an end. The show first premiered in May in 2003, and has run 22 shows on 2 different networks – The CW and UPN. 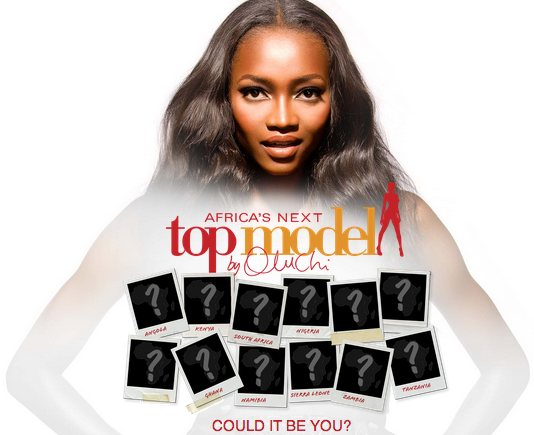 ANTM has had many successful versions in other parts of the world such as Asia, Australia, Colombia and most recently Africa, created by Oluchi Orlandi in 2013. 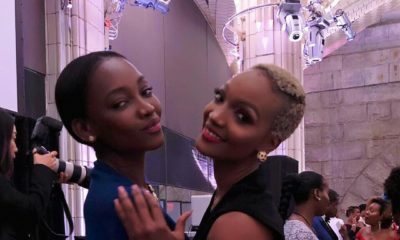 Although Oluchi Orlandi has made no official statement statement about the announcement, we hope ANTM’s end has no negative effect on the African version. Tyra currently hosts The FabLife alongside Chrissy Teigen and more. Keep It or Take it off? Mercy Aigbe Gentry Goes Blonde! I remember when this show first aired; 11-12years ago. Dang, girls are getting old!!!??? May your light keep shining Ty-Ty!??????????????????????✔️? I have an article idea for you titled “did you know”. Our colonial masters did such a number on us that we find ourselves almost “fist fighting” people we think are going contrary to “tradition” which may not even be tradition after all and most certainly does not belong to us as Nigerians/Africans in general. For example…since we love all things marriage, weddings relationships etc on here…. Did you know that there is nothing pure, virginal or even biblical about wearing a white wedding gown? Forget what that preacher man or lady who twisted a certain bible verse to suit his or her beliefs told you the church congregation. This was simply the result of a trend that started after Queen Victoria decided to wear white at her own wedding. Before that babes just dey shine in their Sunday best for their weddings in colours that were mostly grays, navy blues and the likes. So darlings if you like wear green wedding gown sef you ain’t breaking no tradition. Did you know that there is no law or obligation that requires a woman to take her husband’s name after marriage? I tell you these buggers did a number on us. This was yet another British tradition that denoted possession of property so you his wife, his farm, his animals, his farm equipment were all considered his property and you taking his name signified his ownership of you. Women in the Spanish speaking world from Spain to South America traditionally keep their maiden names after marriage and only add the husband’s name as an extra if they feel like it. Greek women are actually required by law to keep their birth name aka maiden name their entire lives. Muslim women keep their maiden names after marriage. So forget that thing oga or madam pastor told you once again that because two became one you should now take Oga husband’s name by fire by force because if it was indeed a biblical requirement my very religious and very catholic Spanish speaking sisters would have long dropped their papa’s names for their husband’s. If you like sister girl add your grandpapa’s name sef join alongside your papa’s own there is nothing like “YOU HAVE” to take on your husband’s name. That is a personal preference, to each their own. Besides like my very happily married maiden name keeping 60+ year old aunties say it is easier to drop one name than to start reverting to your maiden name should things go asunder. I like these Spanish speaking people’s traditions especially that one where the children take a surname from each parent at birth; my kinda people after all na two people come join make pikin no be so? That is one tradition that I will happily borrow and keep. BN over to your research team oya start researching! My dear, chop kiss for this your write up. The Spanish situation is real, a woman does not take a man’s name, she can add it though. For example Bimpe Adam married to Nonso John could use Bimpe Adam de John just to let people know she is married. Also, the children will have both surnames added to their names. Even in this our Nigeria, our female Yoruba ancestors took no man’s name. Women (my grandmother being one) were referred to as omo so and so, meaning so and so daughter and maybe sometimes aya so and so (so and so’s wife). My grandmother although married retained her maiden name. We really have a lot to learn. Thank you. Bella biko post the latest Ndani Real Talk. Contact the guys at Radio Mouth, they’ll give you a segment to air your views if you can sustain it. Or just send your articles out to bloggers via email, and the ones who are inclined, such as myself, will publish. I blame tyra banks for messing this show up with her over the top, silly ideas. America’s next top model was a serious modelling show back then. the prices back then were fantastics. cover girl, vogue italia cover, etc the girls were very competitive and determined back then. weird akward girls wear given a shot at modelling, less privileged girls were given a shot. the show celebrated uniqueness and encouraged people to be confident. tyra messed the show up by making it guys and girls.it became a dating show. They were always forcing the models to kiss each other. that turned me off so much. she must have really been on fire back then when she came up with the idea. and what a successful run. and how cool to STILL be on the message that beauty just is. I am not over the show oh. In fact, I am mourning right now. lol. u are so easily deceived. thats what she wanted u to think. musicians do it also. I parted ways with my record label.lol . in reality, the person was dropped by their record label. All good things come to an end. It’s better she announces the end of the show herself, or the network gives her the Piers Morgan treatment.